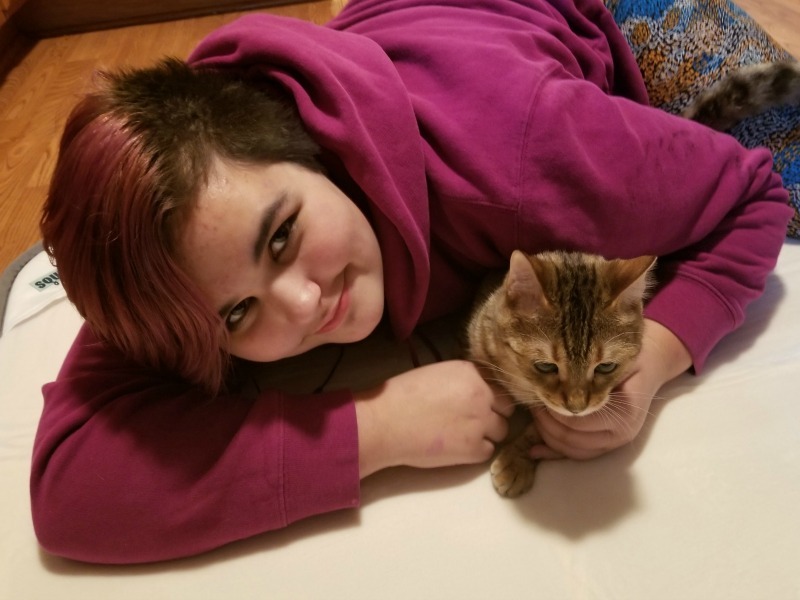 Pets are family even during the holiday season. Every year, you can find a pretty wrapped package under our tree for our bengal kitties. They love the bright colors, jingle of what may be hiding underneath and of for the love of those shiny bows. This year we suggest getting your furry friend something they will enjoy for years to come. Squishy Mat is the ideal portable sleep mat for home and when traveling the world. It is easy to clean and contains almost one inch of Memory Foam creating a soft spot for your beloved pet. These are great even for babies that need a soft place to play. The surface of each mat is covered by a super soft, micro-flannel fabric and is backed with a nonslip rubber grid. No more slipping and sliding when the kitties are deep in playtime and rush in for the take down. 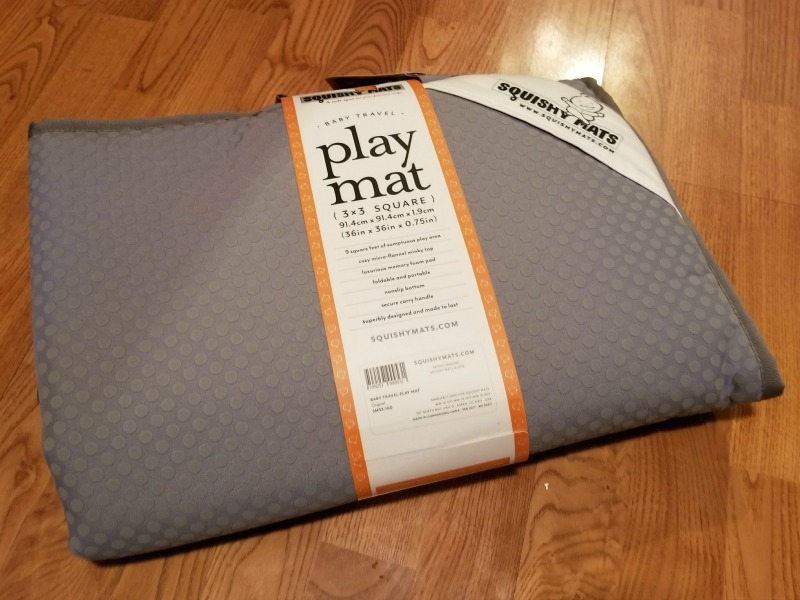 Squishy Mat comes equip with a built-in handle for ease of storage and travel. 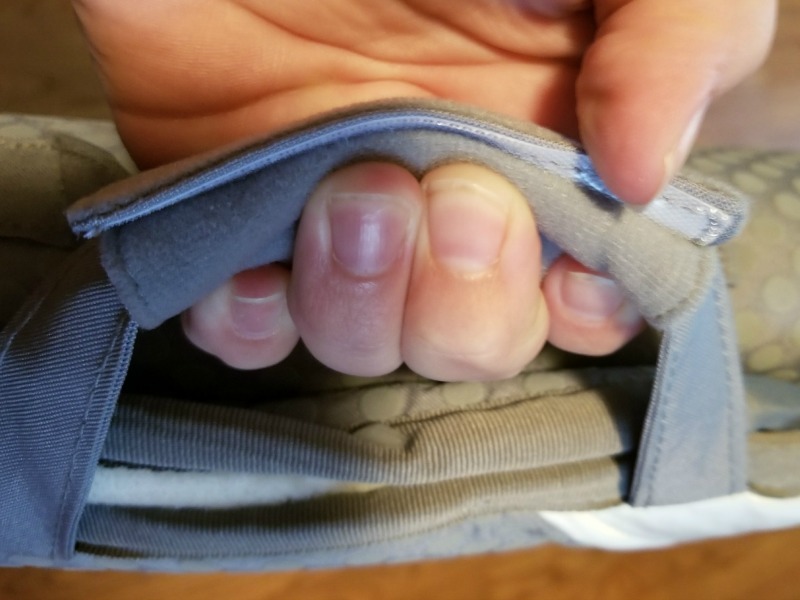 Simpy open the Velcro to release the mat from it’s folds. We all know that sitting or even laying on the floor gets uncomfortable for anyone including our pets! These soft spots help encourage owners to linger at eye level with their animal, and make a nice buffer between all bottoms and the hard floor or ground. 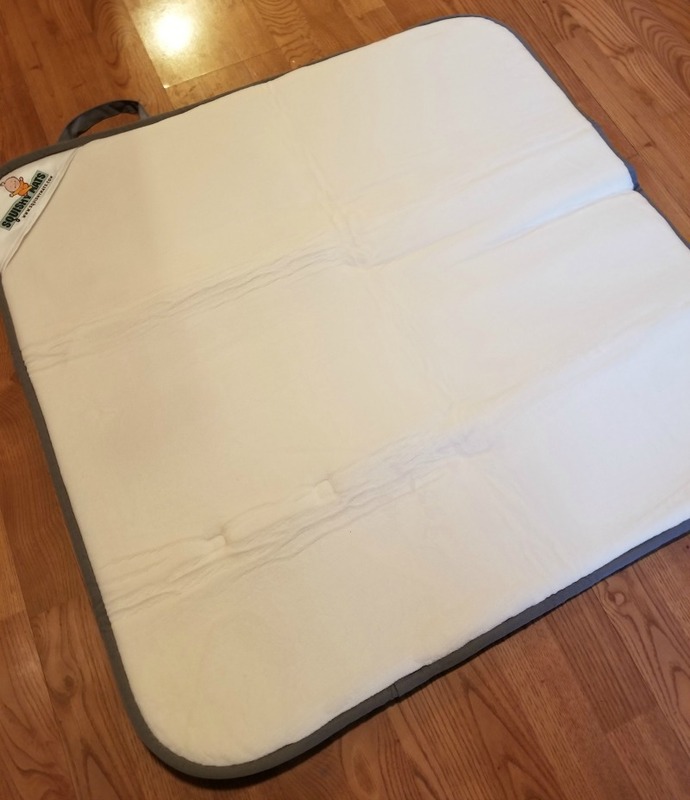 16×32″ The Skinny Mini – perfect for little dogs and cats with big personalities and a nice way to protect “their” spot on the couch from hair – folds and fastens with a carrying handle. 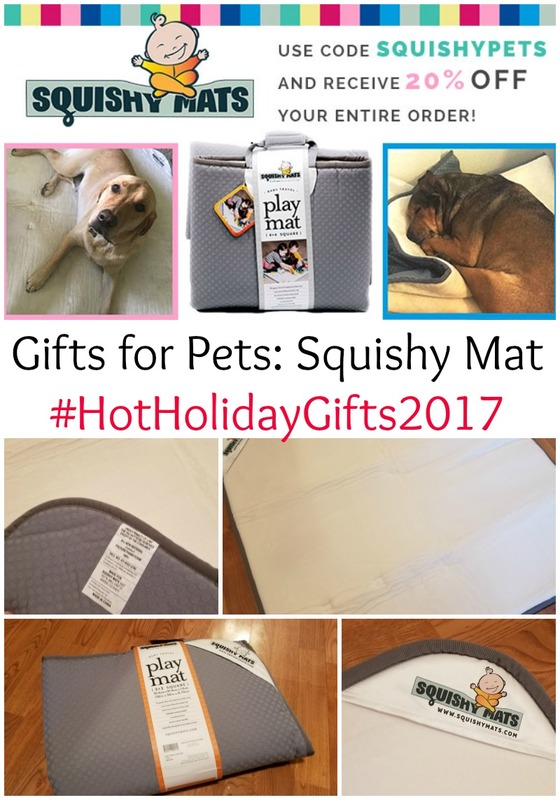 When traveling this holiday season, make sure to take Squishy Mats along the way. This way your best friend will have a clean, soft place to snuggle in and sleep. Not to mention that taking a piece of home with you when traveling with your pet is a great idea. It helps them settle and relax in the strange environment. You will be happy that you did. 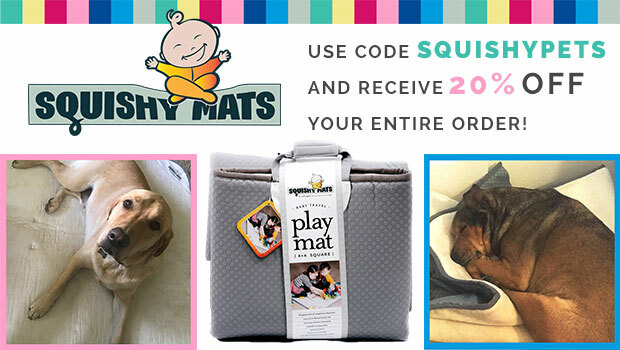 DEAL ALERT – Save 20% Off with code “SQUISHYPETS” on all sized Squishy Mats *for babies and pets* on https://www.squishymats.com.